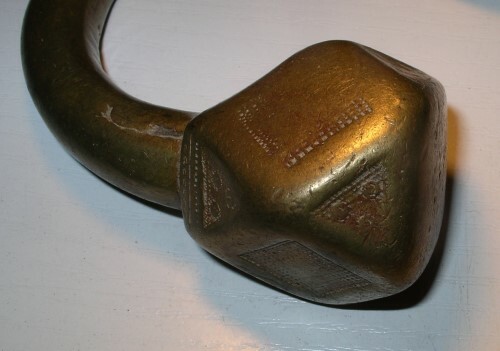 Antique lockable manilla, made of copper, partly with fine geometric ornamentations. Mali-Burkina Faso, from the tribes of Peul, Mossi and others out of this area. 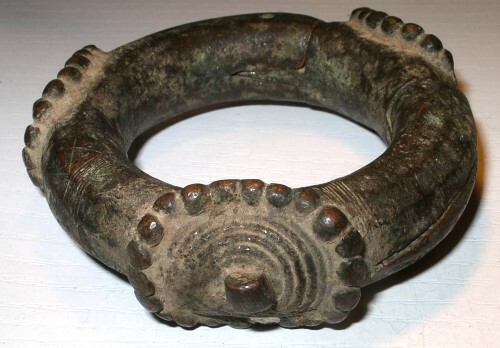 Ankle ring of copper, Mali-Burkina Faso, Lobi and Gurunsi tribe. To be worn only by women. Small Girl ankle ring made from cast brass, dark patinated, scarce! Mali-Burkina Faso, Lobi and Gurunsi tribe. To be worn only by women/girls. 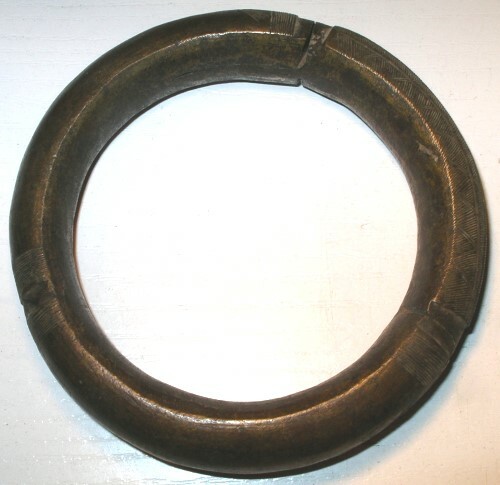 Ankle ring made from cast brass, strongly worn. Mali-Burkina Faso, Lobi and Gurunsi tribe. To be worn only by women. 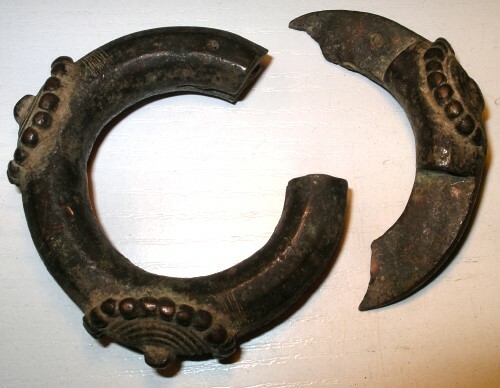 Arm-ankle rings with 3 bells from the Senufo people, made of cast brass. To be worn mainly by medicinemen but also by musicians, children and youths during dancing. Area De Say/Djerma, Niger, intensiv wear. 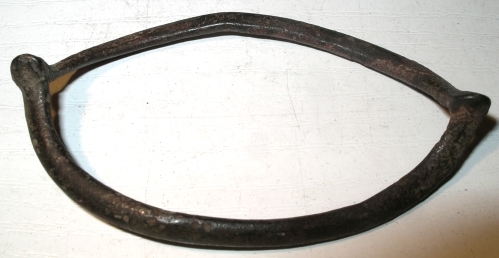 Lockable manilla, made of aluminium, scarce, with fine geometric ornamentations at the lock ends and at the main part, other surfaces are without ornamentation. 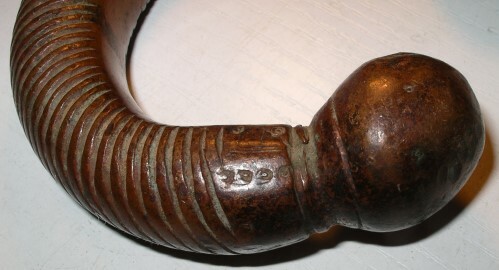 Lobi armring for children with zoomorph figur, representing a python snake. Ivory Coast-Burkina Faso. 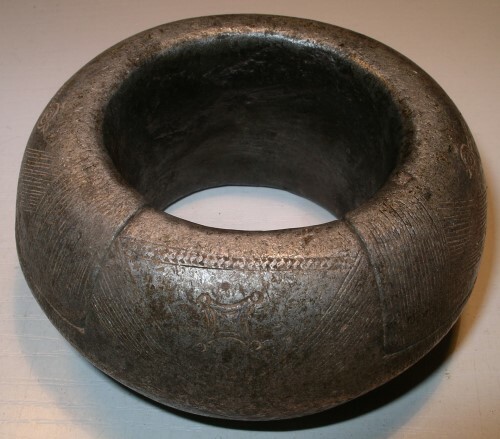 Children Lobi armrings with zoomorph figures representing different animals like cicada and others, each represented on a python snake on the ring surface. 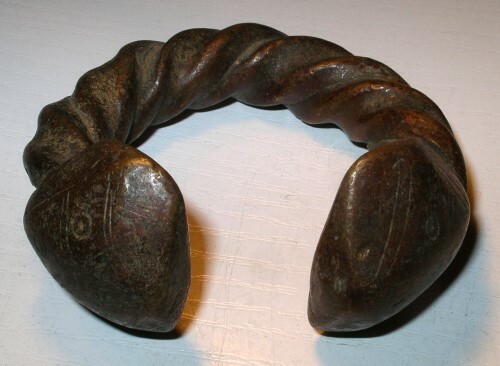 Lobi armring with zoomorph figure like a cicada? and others, each represented on a python snake around the ring surface. 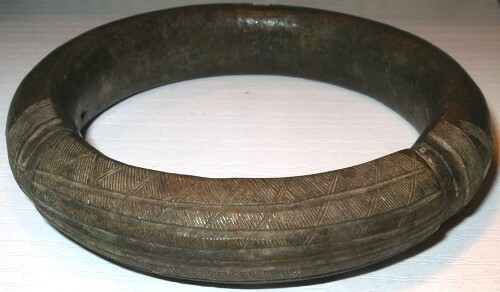 Manilla/Armring made from Brass with two decorated dodekaeder-ends. Area of Mali-Niger, mainly worn by Tuareg women in the area of Agadez. 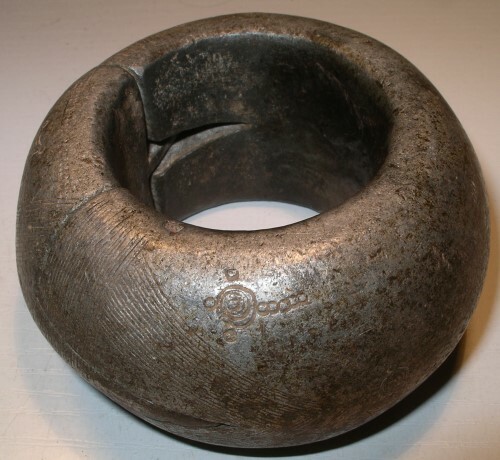 Birmingham Manilla, Type "Onoudou", produced for the Africa trade in England approximately between 1750 and 1850. This were payment in the trade with Akwete. 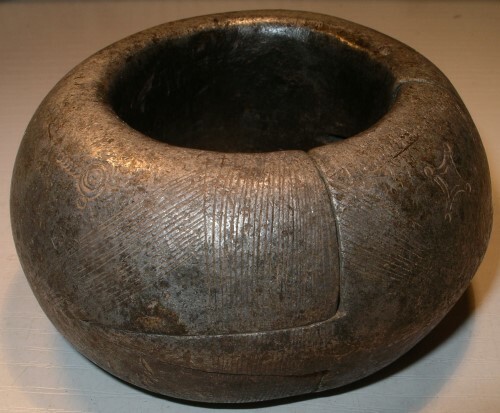 African soil find from the Nigerdelta. 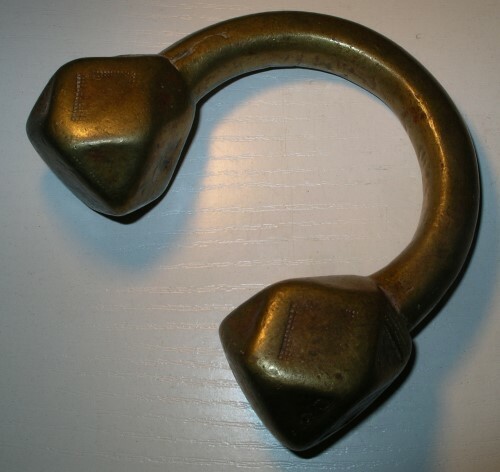 Lockable manilla, made of brass cast, with stroke decoration on the lock and partly on the other surfaces. 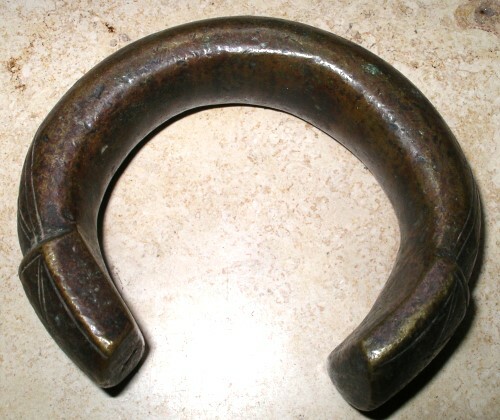 Mali, perhaps a Dogonarmrring. 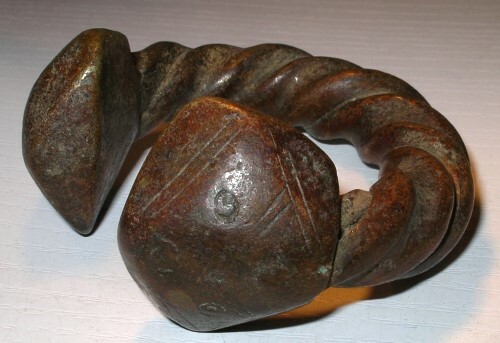 Arm- ankle ring made of copper, with ends rolled up and brass rings are in these. 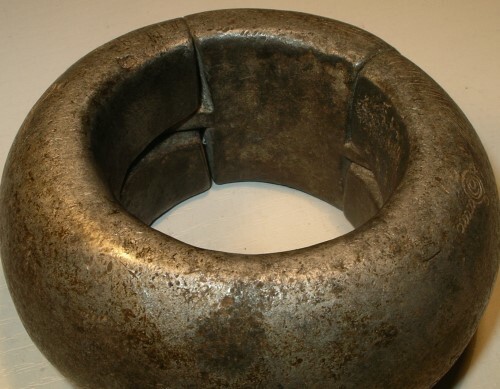 The ring is not casted but hand forged. The upper surface is decorated with geometric circle and stroke patterns. These patterns are typically for the Tuareg tribes in the area of Mali-Niger. 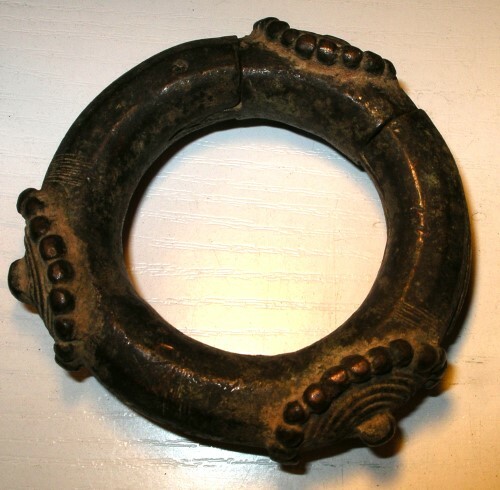 Armring made of brass, surface richly decorated. Typical for Tuareg tribes in the area of Mali-Niger. 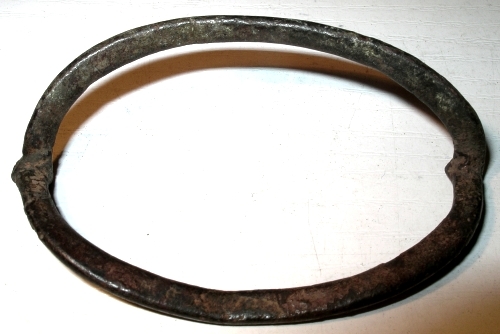 Armring, half-roundly casted from brass. 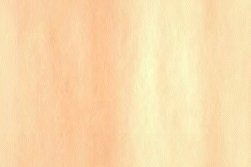 Surface decorated with stroke patterns and circulating middle groove. Tuareg tribes in the area of Mali-Niger. 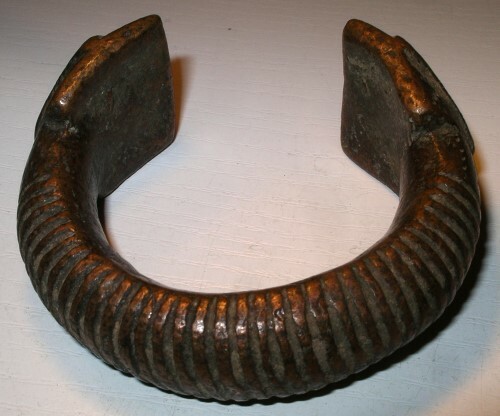 Handforged and nicely decorated Armring, made of brass. Ornaments are typical for Dogon Tribes. 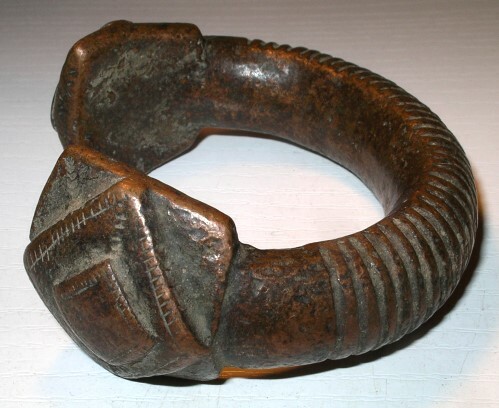 Ancient arm- upper arm bracelets of the Dinka tribe from Sudan. 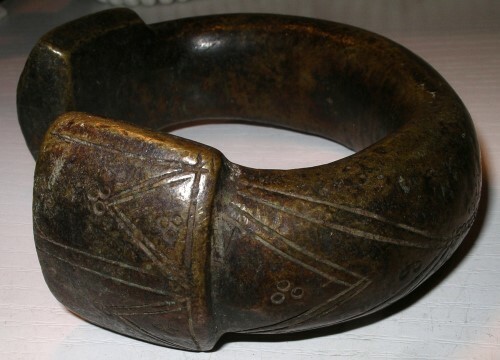 These bracelets are used for traditional payments. Inner dimensions ( left to right): 65/85, 60/65, 77/92 mm. If you are interested, please ask for more Information! Copper Wedding- Manilla with twisted body. Richly decorated Armring made of brass with decorated cast ends. Area Region Po, Burkina Faso, worn by Gurunsi tribes. 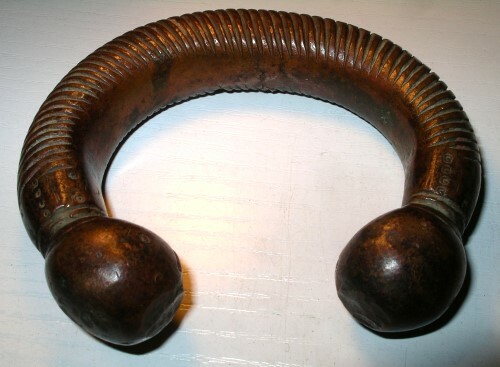 Fine decorated Armring/lockable Manilla made of brass.